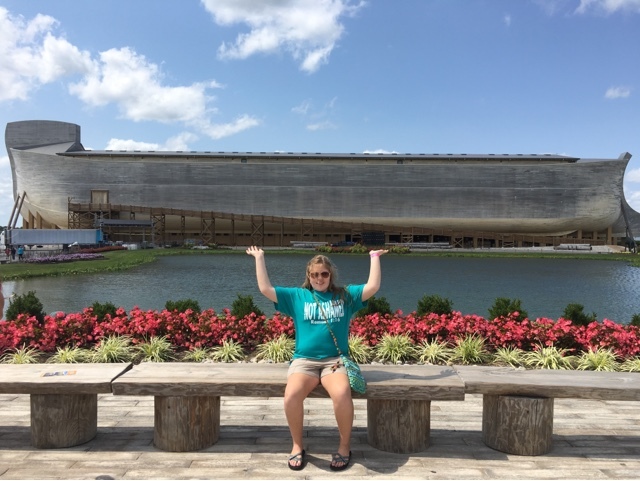 Months and months and months ago my husband and I had the idea that we would try and take our youth on a trip to the Ark Encounter in Kentucky. Our church is small, but we share a great love for the Lord and a great fellowship between the members. We talked to our pastor and the deacons and they were all in agreement, believing as we did, that it would be a life changing experience and that we should go for it! We started preparing and planning.... Months of work, prayer, and plans. We had meals for members to raise funds, we baked cakes at Easter, we had sponsor-a-youth, love offerings, and t-shirts. The t-shirts were special to me. I love rainbows. I love color. I love the fact that God placed the rainbow in the sky as a promise! A promise of love to His people. God's rainbow. So I had this idea... What if we had a rainbow of t-shirts??? A rainbow of t-shirts with the verse our pastor picked?? The shirts turned out beautiful. 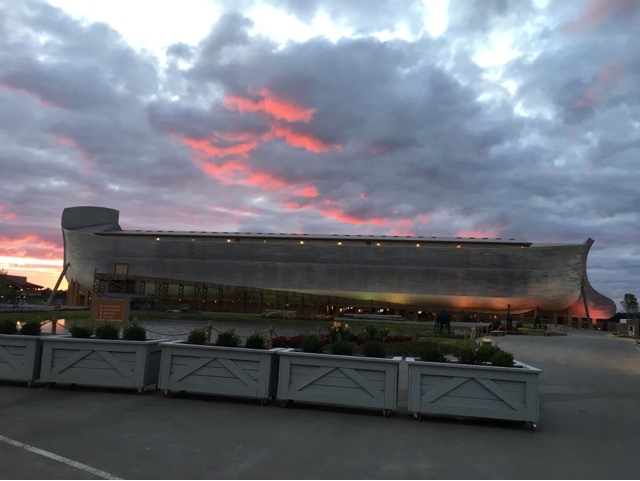 I envisioned a rainbow in front of the beautiful Ark... We were't exactly ROY G BIV, but we were close and it turned out a great picture! 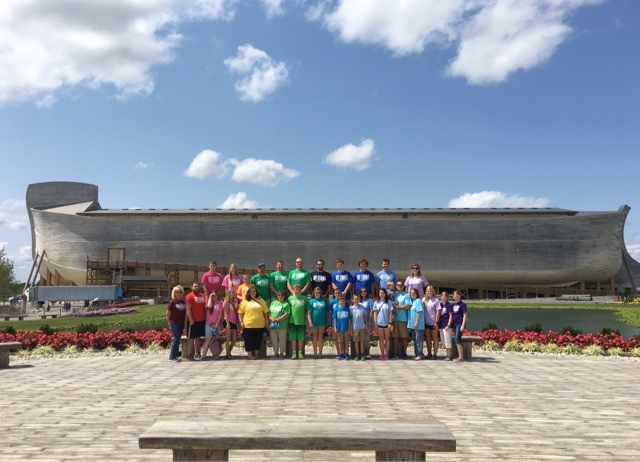 What was even more interesting was that Mr. Ken Ham during this time of planning posted a blog entry about "Taking the Rainbow Back" exactly what I had been saying to our church, and one of the reasons behind the rainbow of shirts. When we pulled up Friday afternoon, we were just as awe struck as I anticipated. It is absolutely breathtaking to behold. To be able to witness this feat of engineering and to see for oneself that this could actually happen was the faith-affirming "see-it-with-your-own-eyes" opportunity that I hoped for. Not only was the Ark incredible... but so was everything else. 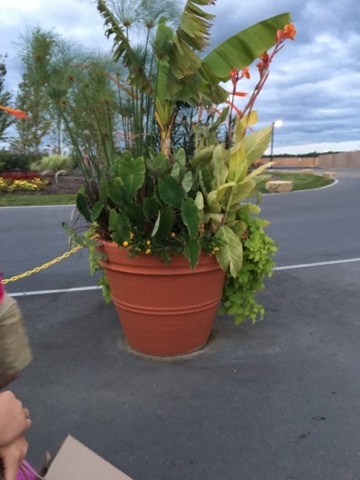 The topiaries, the landscaping, the buildings... it was all beautiful. To stand and look up at this marvelous ship and to think about the God who put this whole plan into motion was a truly humbling experience. First to Noah... and then leading Mr. Ham to re-create it as a testimony that God's word can be trusted. What a blessing. I loved how everything was there. Noah, his wife, his sons, their wives, the animals, the food, the water... there was explanations for everything. 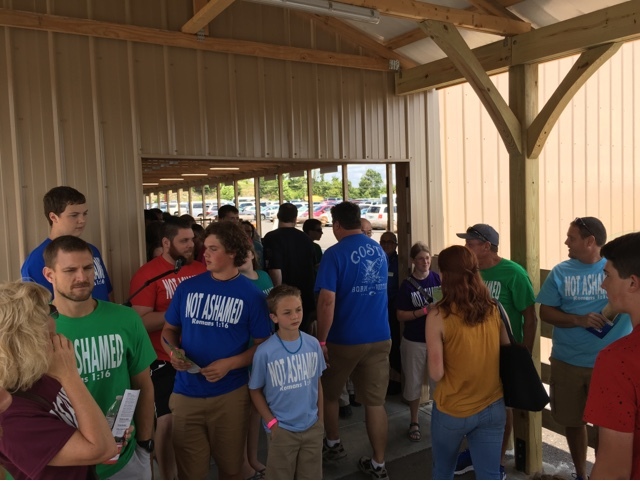 Several of our group had the opportunity to speak up for the Lord because of their shirts. They said that people came up to them and said, "I've seen several of these shirts... what do they mean? Or where did you get them?" It was exciting to hear that doors to talk about the Lord and His rainbow were opened because of a simple little shirt. And if the Ark wasn't great enough... the kids had a blast outside in the Ararat Zoo! Riding camels, petting the goats, seeing kangaroos for the first time! It was so wonderful! We had supper in Emzara's (Noah's wife name) Kitchen. We had to hustle to get to the kitchen because we had learned while there that it was closing earlier than we expected. It was a fun experience as well. Beautifully designed and the food wasn't bad either. It seemed every detail was thought of when planning out this place. The sunset came. And not just any sunset, but the most glorious cotton-candy skied sunset you have ever seen. All these pictures are just as is... No filters, no enhancements, it was just a glorious God-painted sky. 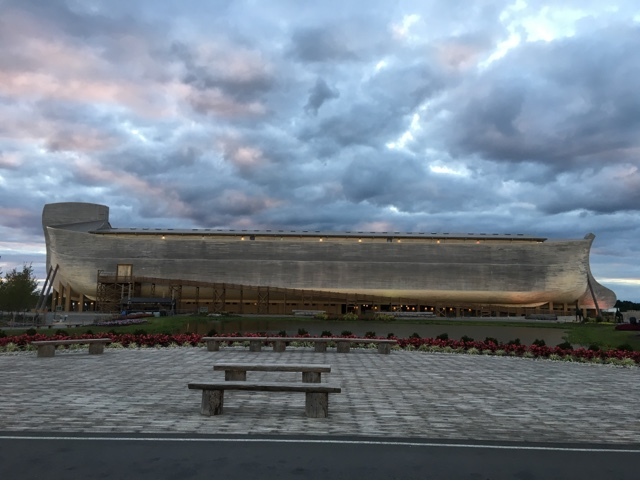 I'm so thankful that we had the opportunity to visit the Ark. I'm so thankful for our church. 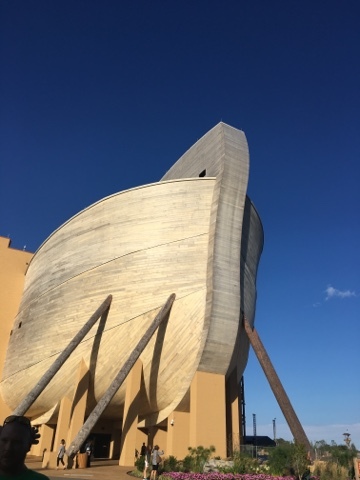 I'm thankful for the creators of the Ark. And I am thankful to the Lord for His mercy and love. We loved visiting the Ark and would go again in a minute! What a wonderful experience! Glad you got to go. The t-shirts in rainbow colors were a brilliant idea!!! !